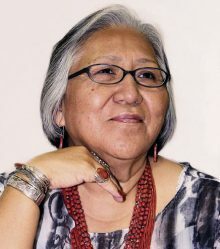 The monthly Guild meeting’s featured speaker for April is Evangeline Parsons-Yazzie. 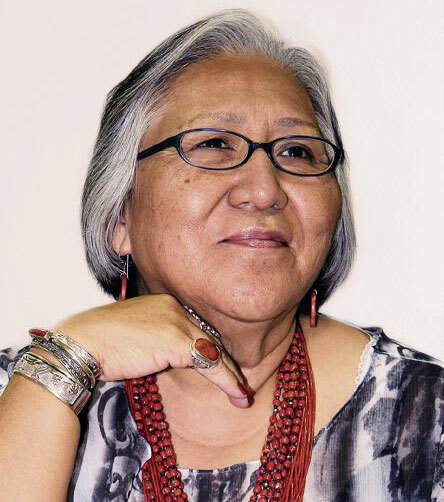 Ms. Parsons-Yazzie is originally from Hardrock, AZ on the Navajo Reservation, and a Professor Emerita at Northern Arizona University. Her lecture will focus on the effect the boarding schools had on American Indian people and is composed of two parts: the first is a historical overview; and the second focuses upon the voices of people who were educated in the early boarding school years (1922 to 1933), the tumultuous years (1935-1945), and more recent years (1955-1971); and the effect forced education had on parents who were left behind. 11:00 am: Sip and Sign – socialize with fellow Guild members & sign up for volunteers positions, and purchase note cards. The public is welcome to attend the meeting to learn more about the Guild and to hear the speaker.